Samsung reported preliminary earnings for the December quarter, missing analysts' profit estimates while shipping 12.5 percent more smartphones over the year-ago quarter. That calls into question the supposed flat demand for smartphones, a problem alleged to also affect Apple. According to a report by Bloomberg, Samsung said its operating income reached $5 billion, while analysts had expected on average $5.54 billion, despite anticipating a slowdown in smartphone sales. The company's earnings were just 15 percent above the disastrous holiday quarter it reported a year ago when its profitability was crushed by a nearly 50 percent decline in premium phone models, despite only an 8.2 percent decline in shipments. The reason for the decline last year was widely blamed on competition from low end Chinese phones, but the company itself blamed "weak smartphone product mix," a problem deeply aggravated by Apple's larger iPhone 6 and 6 Plus models. Rather than noting the impact iPhone 6 had on Samsung's earnings last year, Bloomberg speculatively stated that "demand is waning for smartphones, including its own Galaxy devices and those from Apple Inc., as markets mature and China's economy slows." Neither Samsung nor Apple have detailed the actual sales volumes of their premium smartphones in the December quarter. Apple will detail iPhone sales later this month, while Samsung will not. It has never officially reported its comparable high end Galaxy sales. Usage data indicates that Samsung's high end Galaxy sales peaked with the Galaxy III and never recovered. Samsung's weak sales of high end Galaxy smartphones not only impact the company's own component business, but also has an affect upon outside suppliers that do business with the company, including Cirrus Logic, Inc.
Last April, when Cirrus reported strong earnings, credit was given to its diversification away from Apple, which once made up 73 percent of its sales. The iPhone maker's contribution subsequently dropped to 62 percent of Cirrus' sales following its acquisition of Wolfson, a chip supplier used by Samsung. While initially kept secret, Cirrus has since outlined in its SEC 10Q filing that Samsung now contributed 18 percent of its business as of last summer. 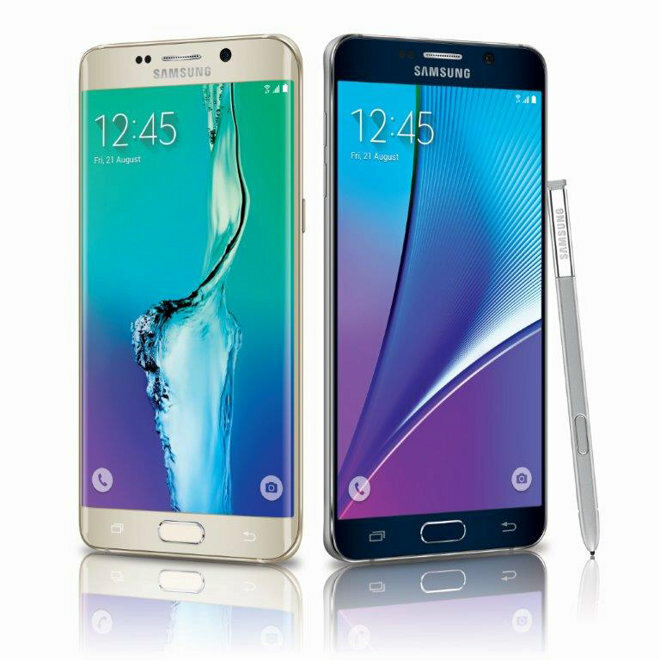 Specifically, Samsung uses Cirrus' Wolfson audio chips in its Exynos-powered Galaxy S6, S6 Edge and Galaxy Note 5, all premium flagships that were particularly hard hit by the iPhone 6/6s. Most previous Samsung Galaxy models used a Qualcomm processor and audio chips, but when the company switched from Qualcomm's troubled Snapdragon to use its own Exynos, it also sourced Cirrus to supply supporting Wolfson audio chips. This is a fact that a variety of Android fan blogs bragged about, given that the Wolfson chips are considered to be audiophile quality premium parts (the company was Apple's original chip supplier for iPods, before it switched to Cirrus). However, now that Cirrus is warning of a profit shortfall, the company is being called an "iPhone Supplier," with the assumption that Apple is to blame rather than the well known issue of the poor selling Galaxy S6, S6 Edge and Note 5, all high end products that flopped badly enough that Samsung's Vice Chairman Lee Jae Yong canned Shin Jong Kyun, the former chief of Samsung Mobile, over the group's collapse in profits. Another company named as an "iPhone supplier" after it issued a profit warning is Qorvo, a year old company that emerged from a merger between TriQuint Semiconductor and its former rival RF Micro Devices. "TriQuint's largest client was Apple contractor Foxconn, and TriQuint chips have been in each of the last several iterations of the iPhone," noted a report by Oregon Live. "RFMD's largest customer was Samsung." On top of a slowdown in Galaxy sales, Samsung was also forced to finally pay Apple $548 million in damages from the original infringement trial. Without that expense, it appears that Samsung would have hit analysts' expectations. Samsung's revenues of 53 trillion won were in line with the 53.8 trillion won expected by analysts. And despite all the talk about demand for smartphones ostensibly waning, Samsung shipped an estimated 83.8 million smartphones in the December quarter, similar to the 84 million shipped in the previous quarter. Last year, Samsung shipped an estimated 74.5 million smartphones in the winter quarter, a year-over-year increase of 12.5 percent. Bloomberg compared Samsung's shipments sequentially, but did not note that the company's smartphones were up significantly over the year-ago quarter, a fact that directly contradicted its assertion that "demand is waning for smartphones." Later this month, Samsung will break out individual results for each of its divisions, which includes the IT & Mobile Communications (IM) group that is roughly comparable to Apple's operations (including phones, tablets and PC sales), giving an even greater picture into the financial state of the troubled business segment. In the September quarter, despite slashing prices and various promotions, Samsung struggled while Apple sold record numbers of iPhones without any price slashing. In China, Samsung lost 4.3 percentage points of market share as Apple picked up 2.4, thanks to 68 percent growth in iPhone sales despite an overall smartphone market that shrank by 4 percent according to Gartner. Still, Apple's smartphone market share in China is estimated to be 14.6 percent, suggesting broad potential to continue to grow dramatically. Three months later, the general assumption among the media is that if smartphones are down, Apple must be too, even though similarly premium Macs have been bucking the downward trend in PCs for years. Similarly, anonymous supply chain rumors about Apple production cuts are assumed to be true even though supply chain rumors have repeatedly proven to be incorrect or misinterpreted.